Online publisher and entrepreneur, ex-CHRO Forbes-200. Founder and editor-in-chief at The HR Tech Weekly® Online Media Co. The HR Tech Weekly® is happy to present you the list of 10 most popular articles in our blog in 2016. The entire rank is made based on the number of views and social shares. The competition was severe but fair. Some of our favorite article got behind. But there were only ten slots available. We did not include in the list our own listicles and third parties ranks like Top 10 HR Tech Influencers on Twitter and some others despite of they were quite popular among the audience. Some great articles from the beginning of the year did not compete well with those from the second half. We treat it as a technical error as the blog itself was less popular that time. Agile performance management is a collaborative, continuous feedback and development practice that is steadily replacing traditional performance management. Traditional performance management has proven to be insufficient to assess and enhance an employee’s contribution. Its primary focus is setting up a series of processes to measure the employee’s performance over the whole year. These processes end up having an unanticipated effect of managers focusing on employee’s weaknesses. The buzz around artificial intelligence this year is being shrugged off by many as just a new word HR got ahold of, but what would happen if AI was actually embraced by the recruiting and hiring world? What could it do to further practices and solve problems? As for being on the other side of the table… being a good interviewer means taking second chair to the person being interviewed. Teasing out and highlighting what they know. Since much of what I do are interviews and panels (except for my columns), I don’t get to do much of the talking. So I love whenever the roles are reversed! Confidence and competence: Two invaluable characteristics to possess in today’s professional environment. While these traits have different meanings, they are inextricably linked. Consistent research findings show men tend to overestimate their competence while women underestimate it, yet research has also shown that women tend to be more effective, and more competent, leaders. Due in large part to the rapid growth of science, technology, engineering and mathematics (STEM) fields, big data analytics is approaching new heights. Students who pursue a degree in big data analytics learn how to effectively analyze large sets of data and identify patterns, connections and other pertinent details revealed by data. Companies are increasingly turning to data analytics to harness customer insights, and ultimately, produce better business decisions. As a result, big data analysts are in high demand and the data analytics field is showing no signs of slowing down. There is a lot of truth in the saying that great companies are built upon great people. However, the reality is, of course, more complicated than that. The world’s leading companies are a powerful blend of people, vision, capability and culture. These things work together like the mechanics of a rocket, generating and maintaining irresistible momentum. If you want to share this blog post the reference to Alexey Mitkin and The HR Tech Weekly® is obligatory. The HR Tech Weekly® had already presented its 50+ Online Sources for HR Managers this year, which could be called as Part 1 now, our primary reading list about Human Resources, HR Technology, Recruitment and beyond. We told that the list was not exhaustive and can easily be expanded up to 100 or 200 and still would not be complete as there are thousands of sources around the web. Since that we’ve got a number of inquiries to try. So, Part 1 and Part 2 give us 100+ brilliant sources which is the good start for reading. Ugh, we told about possible 200… Really? Part 3 is coming next year. If you want to share this article the reference to Alexey Mitkin and The HR Tech Weekly® is obligatory. 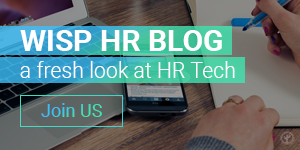 HR Tech News is your single entry point to the global HR blogosphere! The grid of the best HR blogs and websites with their recent posts collected in random order. Today our guest is Deborah J. Muller, CEO and Founder at HR Acuity®: a leading provider of employee relations and workplace investigation solutions. Deborah founded HR Acuity, LLC in March 2006, after she spent more than 20 years in key HR leadership positions at numerous Fortune 500 companies, including Citicorp, Honeywell, Marsh & McLennan and Dun & Bradstreet. HR Acuity designed and developed HR Acuity On-Demand, an essential web-based application that minimizes an organization’s legal and financial risks. HR Acuity On-Demand, winner of the 2009 Top Product of the Year award from Human Resource Executive® Magazine, enables consistent documentation of employee issues, a structured process for workplace investigation, and immediate search and reporting. The recently released 2016 HR Acuity Employee Relations Benchmark Study analyzed employee relations practices related to organizational models, case management processes, metrics and issue types, volumes and trends. The entire study had 74 organizations participate representing over 870,000 employees with the goal to establish a foundation for the development of a unique set of best practice employee relations benchmarks. Hi Deborah, and first of all thank you very much for this interview with The HR Tech Weekly®. You started HR Acuity® operations ten year ago. What has changed during this time in the employee relations management landscape? Over the last ten years we have seen a real shift in the intersection of HR and technology. Organizations are looking beyond the traditional HRIS data to get insights that can be used to understand, diagnose and even predict how employees – their human resources – will behave and perform. And the relationships between employees, employer, co-workers, and customers – must be part of that story. What can we learn from those interactions (the good, the bad and the ugly) to become smarter in hiring, developing, managing and motivating our employees to drive business success? As a result, we have seen our conversations with clients make a real shift from educating about the power of employee relations to strategic dialogues about capturing and deliberately using this information. Why did you decide to perform the Employee Relations Benchmark Study, and how long did it take to get the results? For the past eight years we have been conducting an annual survey take get a pulse on employee relations issues and practices. But over the last few years, our network has been asking for more. When it comes to employee relations issues, organizations want to know what is “normal?” How many harassment issues should we expect? What should we expect our caseloads to be like given our size or industry? How do similarly situated organizations model their employee relations resources? The data had not previously been available and we were in a position to capture it. That being said, we were very fortunate to form an incredible advisory board from organization such as ADP, TIAA, MetLife, LinkedIn to help develop our Study questions. The result was an in-depth questionnaire that required participants to take the time to gather the data requested sometimes from multiple constituents within their organization. In the end, their willingness to do so with such granularity speaks volumes about their desire to get their hands on this valuable information. Did you have any assumptions before performing the Study, and how different were they from the outputs? Since I live employee relations day in and day out, I had some hypothesis going in but clarity of what we heard was most surprising. First of all, we knew from our clients that organizations were making a switch to centralized employee relations teams – this is something the Study confirms. What surprised me was uniformity of rationale for this change. Organizations are looking to drive consistency of process, ensure neutrality how issues are handles and safeguard that those handling the situations have the right expertise. Secondly we knew there was steady increase in the reliance of organization to track employee relations metrics. When we started surveying organizations in 2009, less than 15% used an employee relations management system and over 50% didn’t track at all. What was surprising to us with the Study was how far this has shifted in the last seven years — basically flipping around. Now over 45% of organizations use some form of an employee relations management solution or case management system while only 12% reported not tracking at all. And finally, in one of our open ended questions we asked about how caseloads have changed recently. Almost everyone who commented used the exact same word to describe what they were seeing…”complexity.” Cases are just more complex than they were a few years ago. Not a big surprise given the growing number of regulations that need to be considered but very powerful reading through comments from strangers who all use the same terminology. What are the core statistics and findings of the Study? Could you just lift the veil for our readership please? Organizational change. Not only are organizations moving to centralized models but our data shows that that type of organizational model uses 25% fewer HR resources than those with Mixed and Decentralized Models. Analytics. Most respondents described employee relations analytics as “early stage.” However those that are ahead of the curve are actively monitoring key metrics and provided insightful examples of how the information measured has been used to impact key business drivers – all which we included in in the Study results. And finally case and staffing benchmarks. The Study provides some “normal” on numbers and types of cases that employers are dealing with. In most instances we were able to break those numbers down by size of organization and organization model so that as a reader you can consume what is most similar to your needs. For example, for every 1,000 employees, our Study found that organizations will receive approximately 4.44 allegations of discrimination or harassment. On one hand, there are plenty of HR Tech solutions for recruitment, employee engagement and other things often called disruptive. On the other hand, some employee relations statistics may surprise you. What about solutions for managing risks, preventing and resolving conflicts at workplace? I love that you bring up this point. Employee relations seems to be the last bastion of manual HR processes. And when you speak to HR practitioners they totally get it. The reality is that most HR professionals already capture employee relations information on a daily basis but in spiral notebooks or at best on excel sheets. By “digitizing” this last piece of the puzzle organizations can create tremendous impact and ROI without disruption. Instead of spending millions of dollars to figure out something intangible like employee engagement, having an employee relations management solution can uncover why employees are disengaged, what are the trends that drive inappropriate behaviors or subpar performance, what can you do to reduce incidents and drive growth: very tangible and very straightforward. Your Benchmark Study covered the corporate world. Do you have any observations regarding SMB companies and recommendations for them to mitigate risks of employee relations? At HR Acuity we always say that employee bad behavior doesn’t discriminate…whatever size or industry, you need to be ready to face issues or allegations that will pose risk for your organization. Process missteps can be costly and particularly detrimental to the health of a smaller organization. So our recommendation is to be prepared. Have a process. Know who will be involved and ensure they have the proper training to handle the incident in a compliant manner. HR Acuity has some great free resources and tools on our website that we encourage folks to download. The last but not least question I love to ask my guests is what are upcoming challenges for you? For us it is about Managers… How can we leverage technology to provide managers the tools to do their jobs more effectively? Those tools will not only help drive consistency but can be used to validate that good management and leadership practices drive business results. Once that happens, the relationship between managers and HR will change to become less traditional and more strategic. If you want to share this interview the reference to Deborah J. Muller and The HR Tech Weekly® is obligatory. 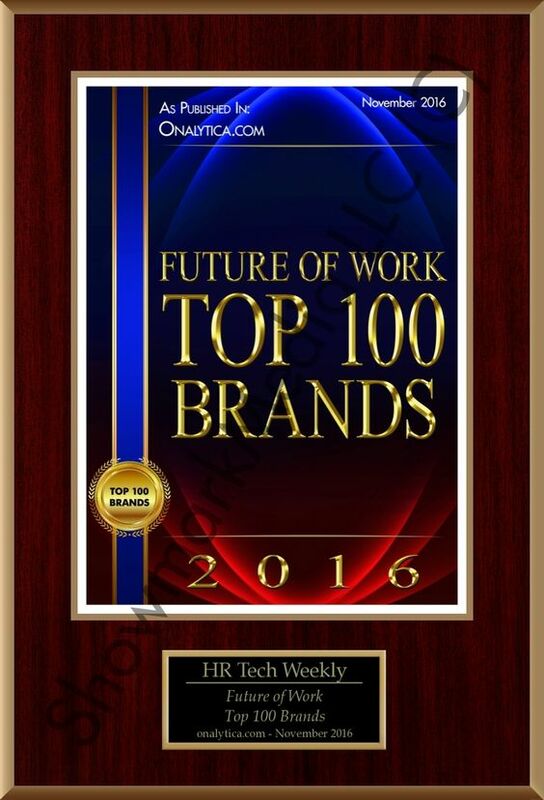 The HR Tech Weekly® started its operations on October 19, 2015 and became popular among the global audience promptly. The entire network includes 25 media channels and has immediate access to 60K followers across 120 countries. 60M people had reached our content during the 1st year of operations. It’s our birthday guys, and this day we don’t want to bother you with more data and reflections. First year has gone, and we are looking forward not back! Thank you very much to all and everyone who has passed this way together with us. See you second year! …and we will try to be useful, interesting and not boring. Today our interview is with Bill Kutik, one of the top four HR Technology influencers in the US, and the industry’s leading producer of shows – live and online. For 19 months, his independent broadcast-quality video series called Firing Line with Bill Kutik® has featured monthly interviews with leading HR tech thought-leaders on YouTube. Since 1990, he has been monthly Technology Columnist for the US trade magazine Human Resource Executive (you can read his columns at Human Resource Executive Online®). But he’s probably best known as founding co-chairman (sometimes called “The Father” or even “The Godfather”) of the magazine’s famous annual event, the HR Technology® Conference & Exhibition, the world’s largest held every October in the US. He began it in 1998 and stepped aside for new leadership in 2013. The Bill Kutik Radio Show®, his previous online talk show with industry leaders, has suspended new shows but many people are still listening to its 183 podcasts in the archive at HRE Online. In 2012, the magazine named him one of the “10 Most Powerful HR Technology Experts.” He previously wrote for The New York Times and has a BA degree from Harvard University. Hi Bill, and first of all thank you very much for this interview with The HR Tech Weekly®. You run the TV show well known among the business audience as Firing Line with Bill Kutik®. What are you trying to accomplish with it and how do you make decisions on inviting your guests? And curiously, what do you feel today to be at the opposite side of the table? Hi Alexey, thank you for inviting me. When I started planning the TV show in late 2014, I realized that all the various shows I had produced since 1998 (HR Tech, the Radio Show) were all based on the same bedrock principle: Guests talk about what they’re thinking and doing, not what software they’re selling or which software they might be using. The analyst relations executive at Workday, Geoff McDonald, asked me to repeat that after I said it because he thought it was the best description of “thought leadership” he had ever heard. I was flattered. Because I came to HR technology from years in commercial journalism (doing work for The New York Times and The Boston Globe), I have brought with me some values that are now sadly considered old-fashioned. Namely that articles (or blogs), conference presentations and interviews (audio or video) should be in the best interests solely of the reader, listener or viewer – the audience – and definitely not necessarily in the interests of any vendor involved. I was ruthless about that at HR Tech, where happily the owner Ken Kahn completely supported the idea that we never sold speaking slots to vendors. Imagine, attendees are already paying to see the content. Should anyone sell it a second time so it’s no longer in their best interests? So I started Firing Line with Bill Kutik® to continue providing HR practitioners with objective information about the latest technology trends without marketing or favoritism. It was the same with the Radio Show, which I did for seven years. Decisions on the guests for both are made simply based on who can best deliver value to the audience. As for being on the other side of the table… being a good interviewer means taking second chair to the person being interviewed. Teasing out and highlighting what they know. Since much of what I do are interviews and panels (except for my columns), I don’t get to do much of the talking. So I love whenever the roles are reversed! Look how much more I get to say here than you do, Alexey! You provide the HR Technology Column at Human Resource Executive Online®. How do you choose your topics to be covered there and what other projects do you undertake? Being a columnist is the most difficult job in journalism. Others only write when something happens; columnists have to fill the space (in my case) every four weeks, even if nothing has happened. Of course, HR technology is so dynamic that I can’t think of a month when nothing happened. Because I like my columns to be in-depth, I often write them after attending full-day analyst meetings or multi-day user conferences. That gives me the kind of perspective a good column needs. Thirty years ago, I learned from the world’s leading computer industry commentator (an old college friend, Esther Dyson) that vendors do most of the innovation in the industry. Certainly there were terrifically innovative end-users like Cisco and Walmart, but they were the exception. So my columns tend to focus on what the vendors are doing. In addition, I try to use them to explain to the practitioners how the software industry works. Think about it. Practitioners may buy new solutions every three years or so from someone who sells them every day! The match-up is so unfair. I try to level the playing field. In that regard, one of my favorite revelations was that salesmen for large, on-premise enterprise software regularly asked for four-times the price they were willing to settle for! Now that’s exactly what the street urchins in Cairo trying to sell you cheap souvenirs do. It was never universally true, but I was shocked to discover it and thought it important to tell HR practitioners about it. You started the HR Technology® Conference & Exhibition (also known as ‘HR Tech’ which probably gave the name to the whole industry). What was the mission behind the idea to establish such an event in 1998, how it was changing during the time and what other events should HR managers keep their eyes on? The mission from Day One was to help make HR practitioners more tech savvy. Not to understand the bits and bytes of it, but to understand the business benefits that technology could bring them. And offer that to them from their colleagues, senior HR executives, and not from vendors who too often do the educating at other events, sometimes to their own benefit. Our mission enlarged, when I realized there was a vast audience of HR generalists who somehow thought technology did not apply to them. We started a major campaign – with the help of the most popular U.S. bloggers at the time such as Laurie Ruettimann, “HR Ringleader” Trish McFarlane, “HR Capitalist” Kris Dunn, “HR Bartender” Sharlyn Lauby and Dwane Lay – to convince them their career advancement required it. I’m often guilty of exaggeration, and I remember once writing that if they didn’t get tech savvy, “They should start looking for a large cardboard box and nice place under a highway to live in it.” Over the top. HR Tech was almost alone at the beginning. Now there are similar events around the world: Australia, China, India, Dubai, Bahrain, Norway, Amsterdam, Paris and London. I was once invited to an event in Moscow, but organizers never got beyond a brochure (which I still have) describing me in Russian. I love that because all four of my grandparents came from Russia, where I’ve been told my family name translates into “little cat,” not kitten. “Kooteek”: a term of endearment. And don’t forget the show that started it all organized by IHRIM (International Association of Human Resources Information Management), begun decades earlier than HR Tech. Its next annual conference is scheduled for March 2017 in Toronto. SAP, Oracle and Workday, sometimes called as SOW, deliver most integrated and complex HR Tech solutions on today’s market. What are the core advantages they have, in terms of daily HR needs? What I like to call the “Big Three” specialize in meeting the most complex needs of global corporations with more than 5,000 employees. Among the advantages they bring is being able to deal with specific HR needs in dozens of countries, especially in payroll. The Big Three are always there. But practitioners too often make the mistake of tearing out the leaders box and making it their short list. Without considering that their company, for example, may have just one location in the US with just 600 employees. So that’s not necessarily the way to go. What are the market expectations from HR technologies to appear in the nearest future? Briefly. Everyone is touting predictive analytics, most especially “proscriptive” analytics that suggest what you should do to fix a situation revealed by the data. HR departments need to move very slowly on this and insist that vendors go beyond their canned demo. And instead, load the company’s own data – say from 18 to six months ago – and then test to see if the predictions turned out right in the last six months, which HR already knows! Still very much a work in progress. Do we really need all that ‘bells-and-whistles’ HR Tech vendors deliver as stand alone, OEM or integrated solutions? It’s often said that most people use only 10 percent of the functional capabilities in Microsoft Word. In my case, I know that’s true because it is marvelous software for writing a book, keeping track of footnotes, re-numbering as they are added or removed, automatically putting them at the bottom of the correct pages, or even aggregating them for a section at the end. The same is true of HR software. But with SaaS, customers are generally not paying for the capabilities they’re not using and someday may use them. Many are terrifically useful, and I’m glad they are there. I was present at the birth of the first Applicant Tracking Systems (ATS) in 1988, as you mention. What has happened in that last 10 years is the ATS has come to be seen as the essential, but largely administrative, system involved in the Talent Acquisition process. Much like an HRIS, HRMS or what’s now called Core HR is essential but not very strategic. I love to point out that the reason an ATS is called an Applicant Tracking System is it cannot deal with candidates who have not yet applied. Yet the very best recruiters are spending time dealing with them, not just sorting through applications and resumes. I admit that focus on candidates can seem a little like the famous Groucho Marx joke: “I wouldn’t want to join any club that would have me as a member!” But the War for Talent is all about identifying and attracting candidates, not just throwing out a baited fishing hook (job board postings) and hauling into the boat everything that bites on it. Obviously, I could go on and one about this topic. But I’ll spare your readers and hope they have stuck with us this far. If you want to share this interview the reference to Bill Kutik and The HR Tech Weekly® is obligatory.